Hand dyed 30ct Linen in the Rainbow Collection - Green, by The Primitive Hare. This piece measures 17" x 19". 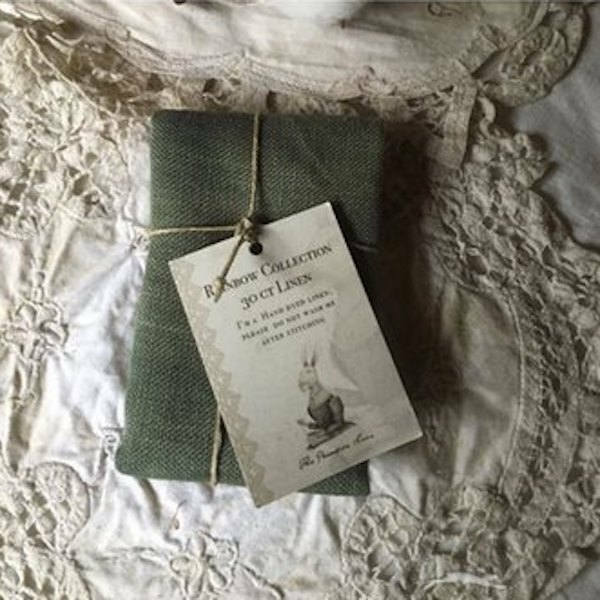 This fabric is hand-dyed by The Primitive Hare in Italy. Please do not wash after stitching.